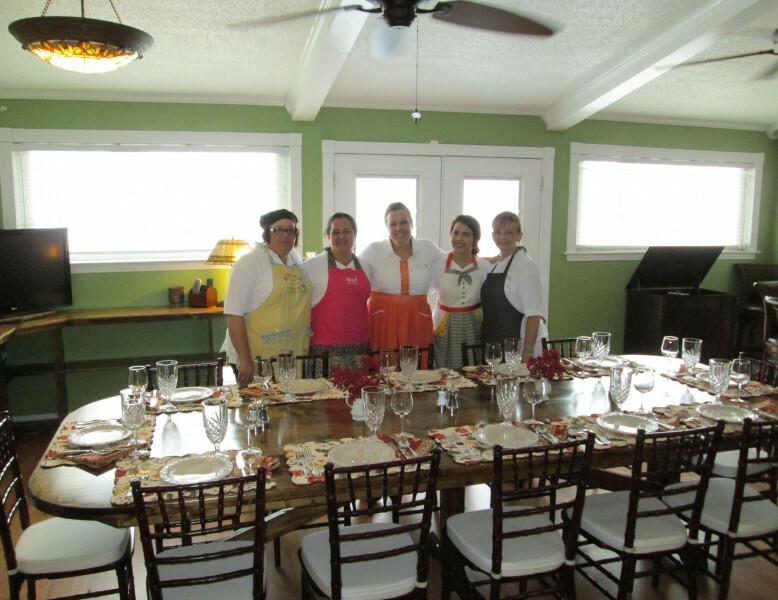 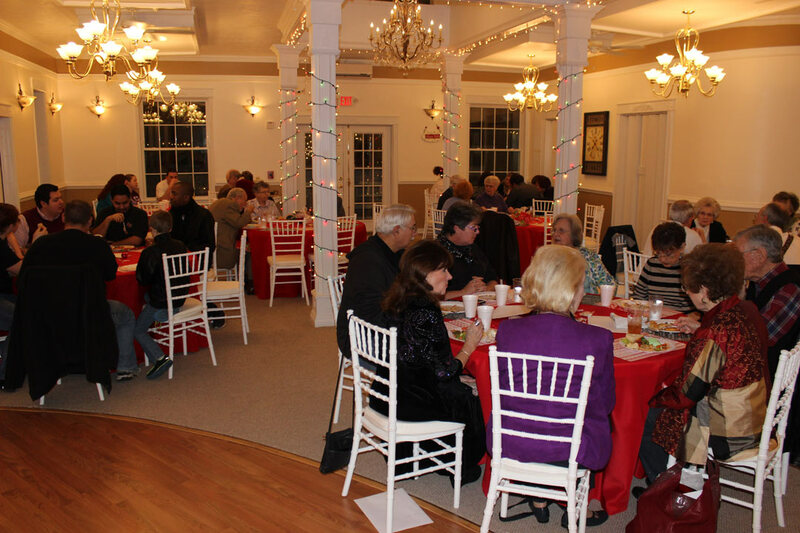 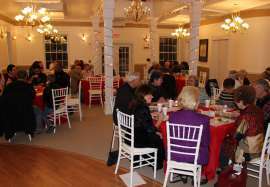 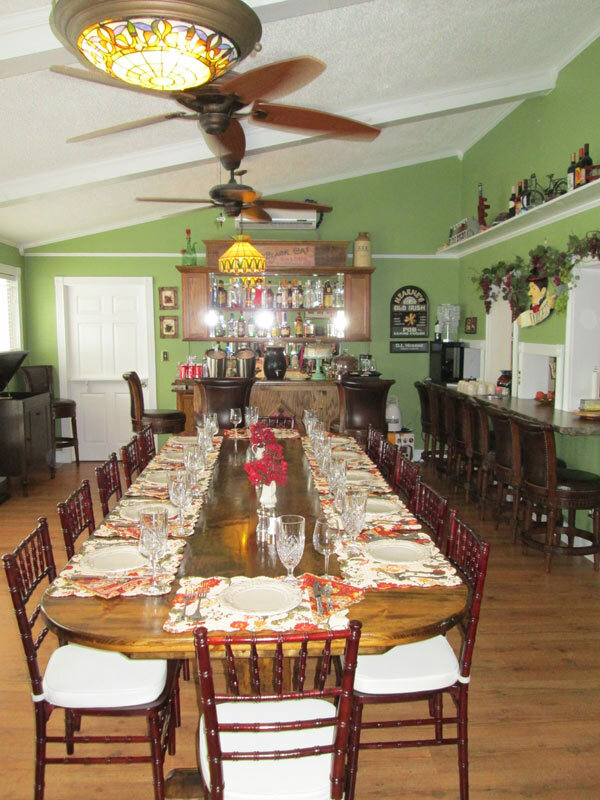 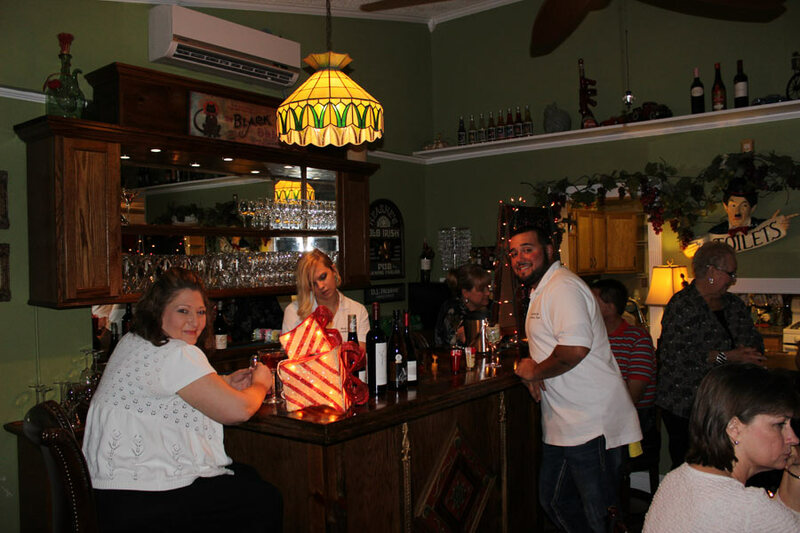 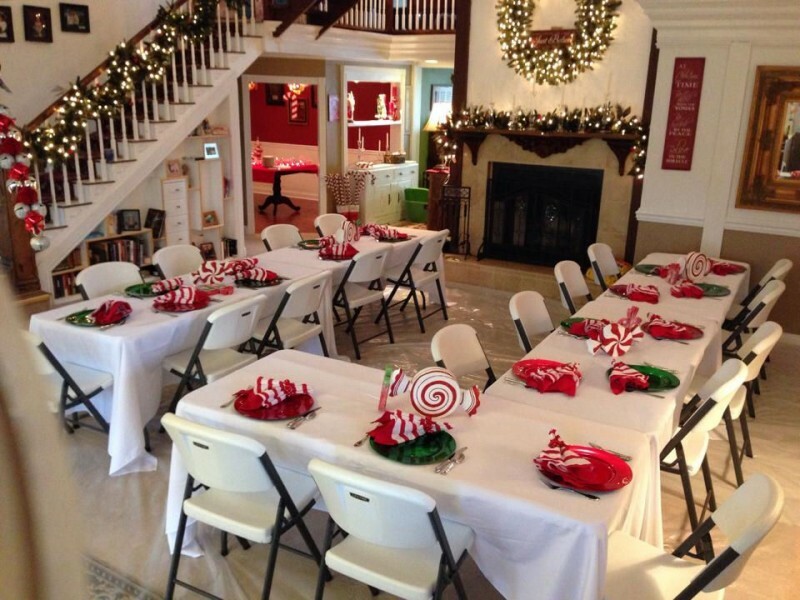 Reserve time at Book Nook Inn for your upcoming meetings, family reunions, class reunions, book release parties, bridal showers, weddings, family get-togethers, office parties or whatever. 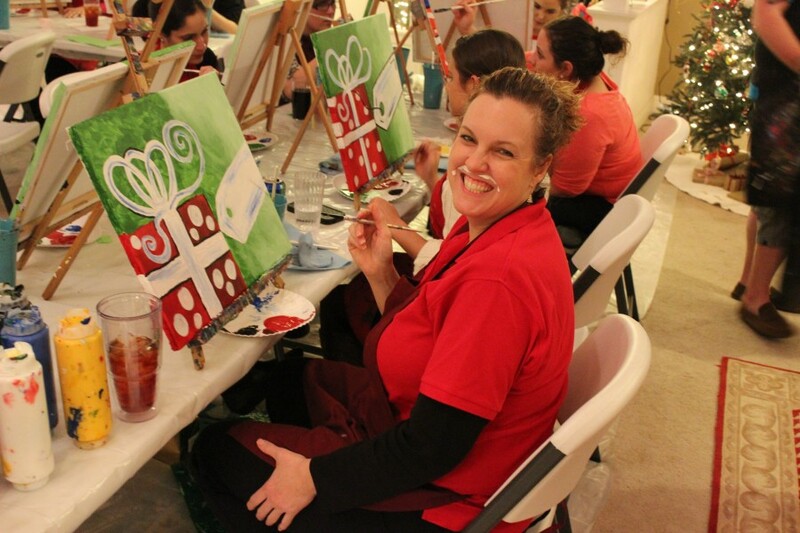 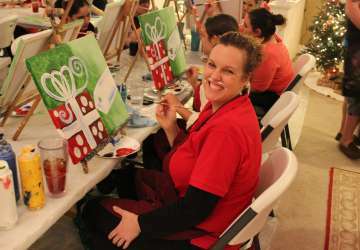 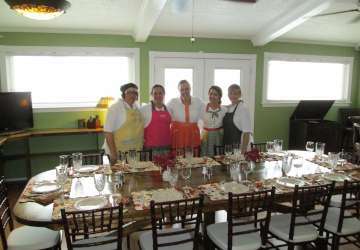 A great place for business team building or a productive get-together for your organization. 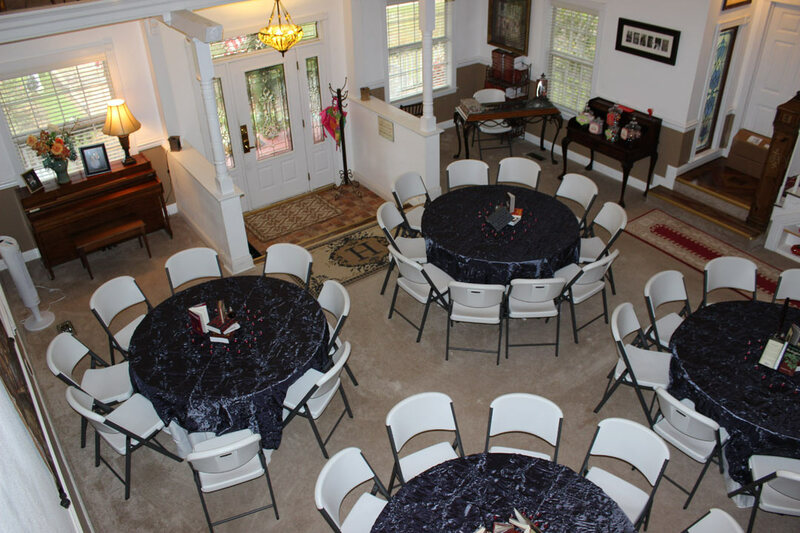 The Book Nook Inn provides two venues for your event. 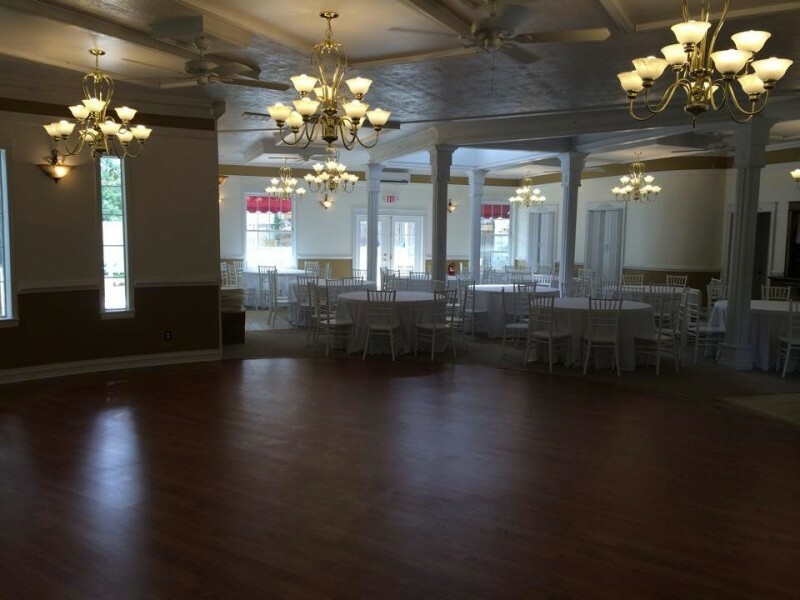 A large event room (seating 80 - 120 people) is available, complete with dance floor and preparation kitchen. 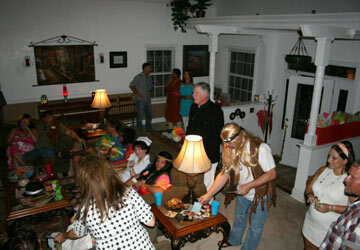 The Book Nook Inn also uses its large living room which can seat up to 40 guest. 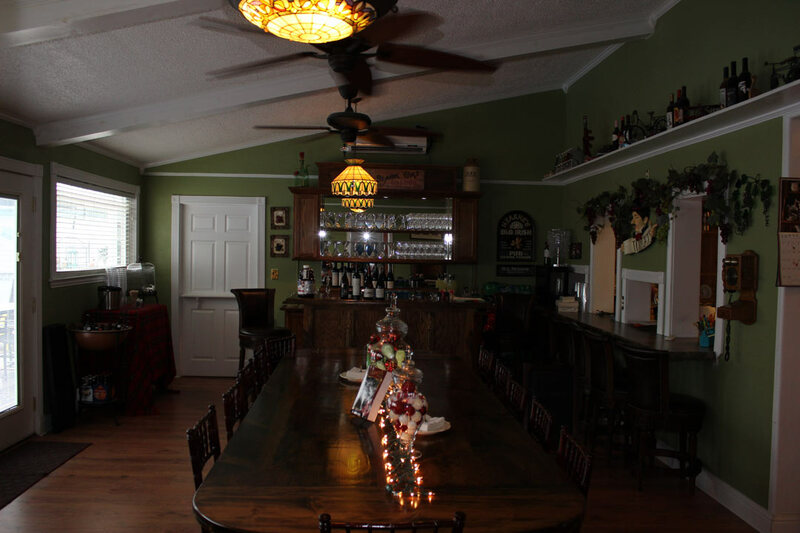 Both areas have access to wi-fi high speed internet access. 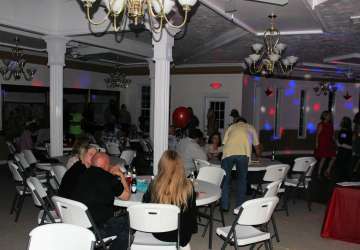 Flat screen TV’s are available for rental. 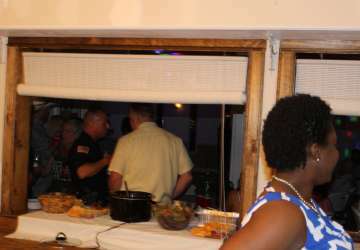 Food storage and preparation area are available for the event, including, microwave, refrigerator, ice maker and preparation counter. 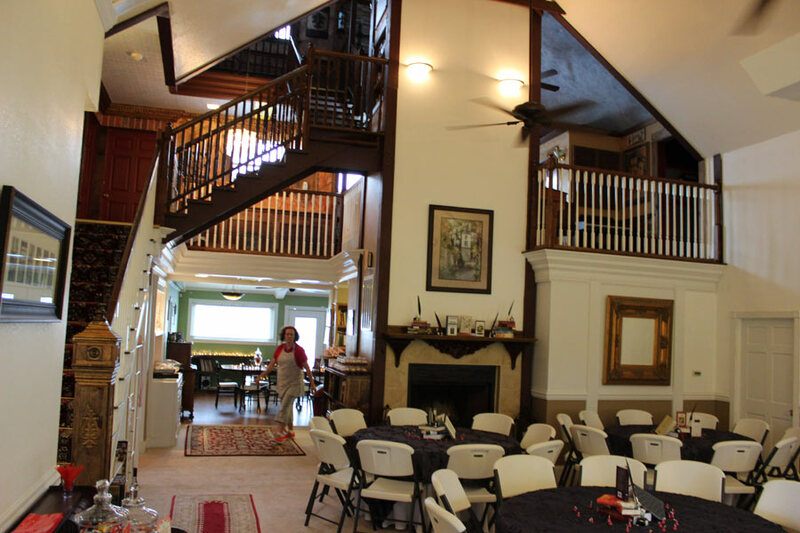 The Main Floor Living Room, Bar Area, Dining Room, and deck can accommodate 40 to 50 people. 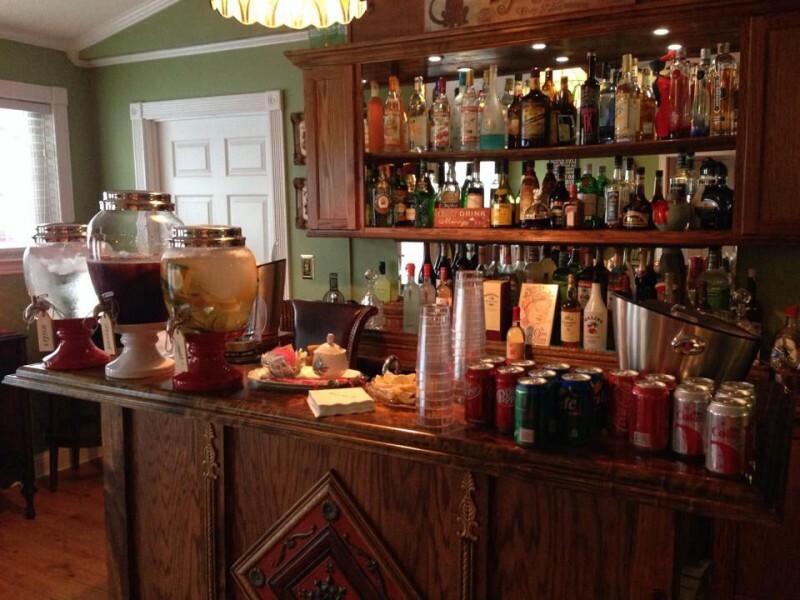 The bar can be used, but those renting the bar must provide their own alcoholic beverages to serve. 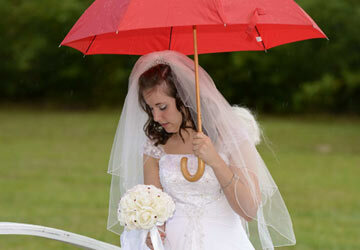 Day use is by arrangement. 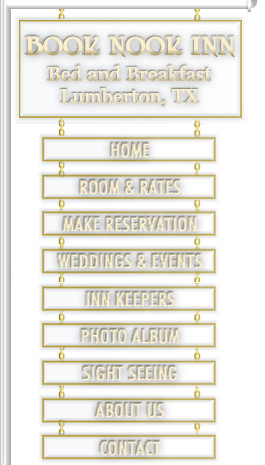 Prices: Depends totally on what services and facilities you require. 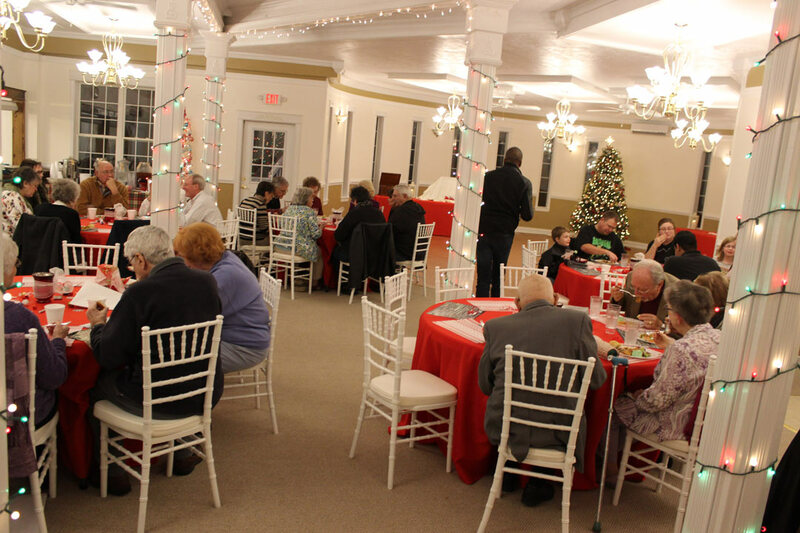 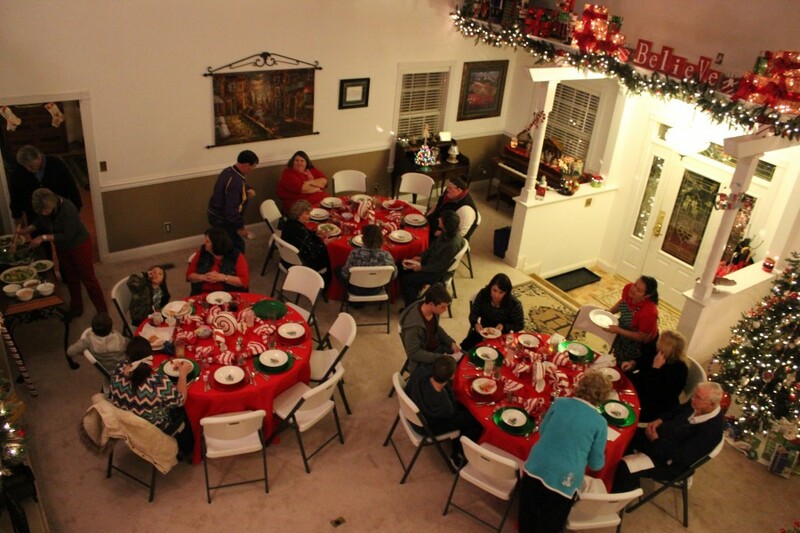 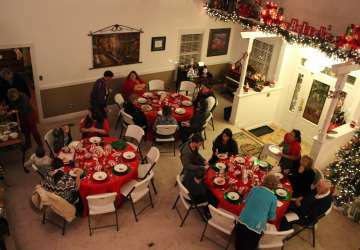 Banquet tables, chairs, table clothes, dishes, sound system, projectors and more are available for rental at the Inn. 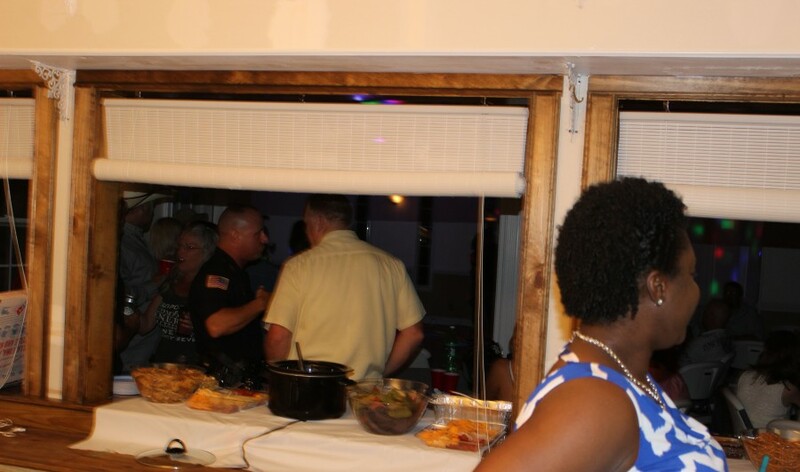 For large parties, We prefer that you contract your own catering service for food, however for small affairs of 14 or less we do offer our own catering services. If only sandwiches and hors d'oeuvres are required, we can often accomodate those needs. 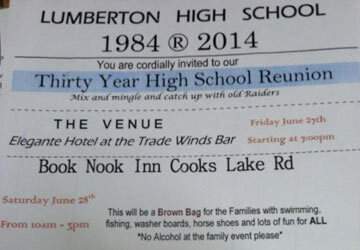 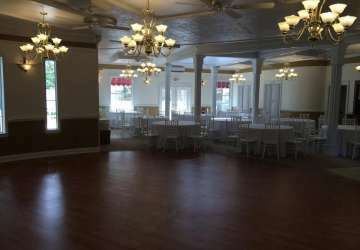 Please contact the Book Nook Inn 409-225-9106 or 409-617-4854 to discuss pricing of our event/party venue. 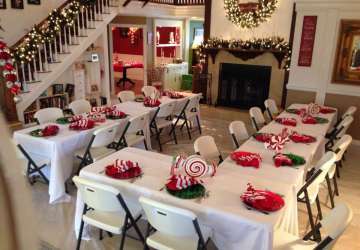 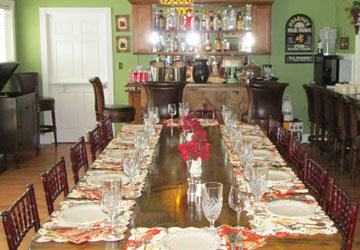 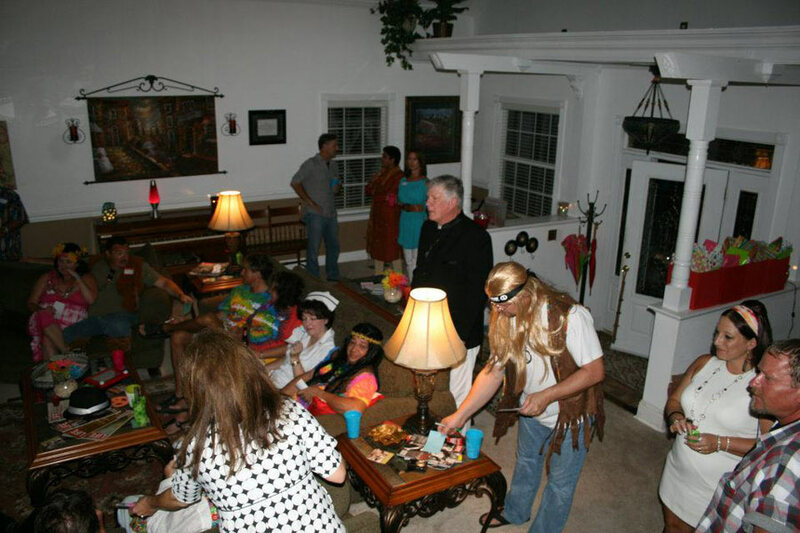 Host a party at the gorgeous Book Nook Inn bed and breakfast. 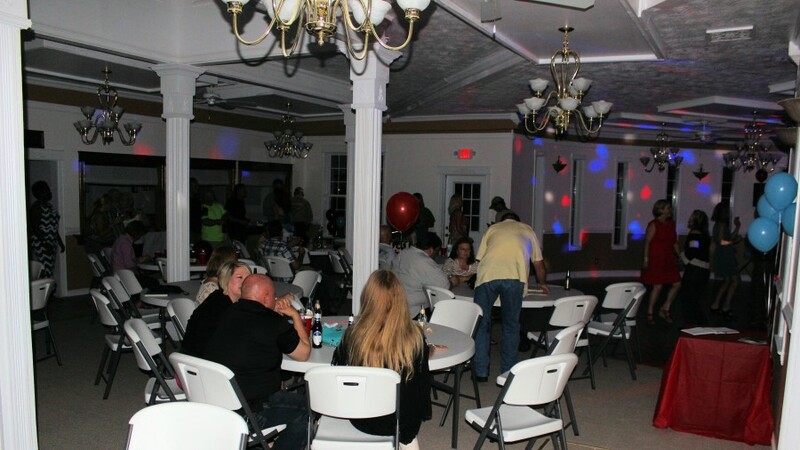 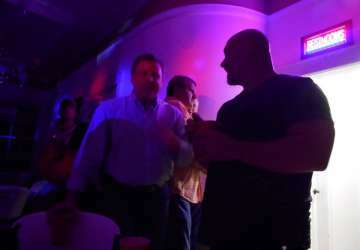 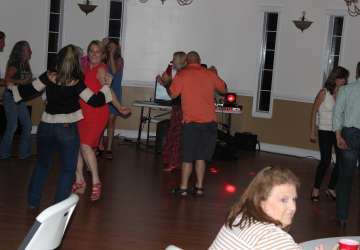 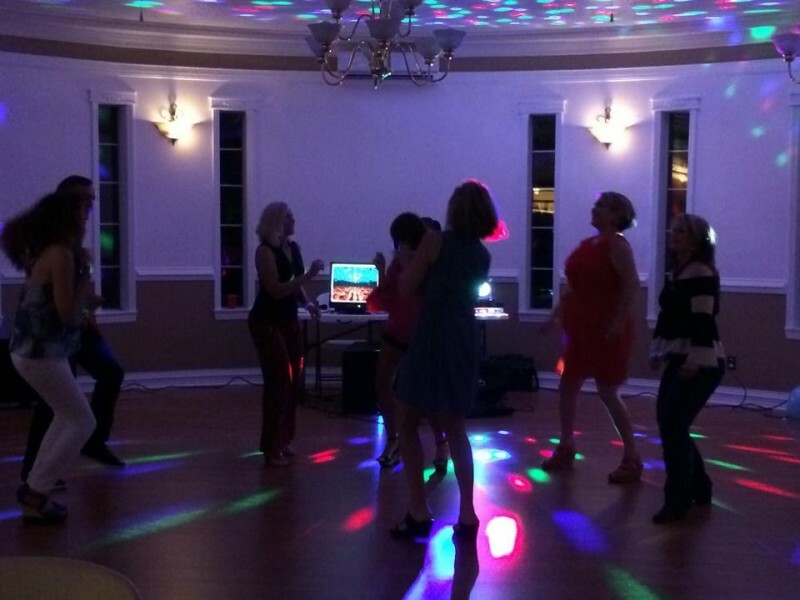 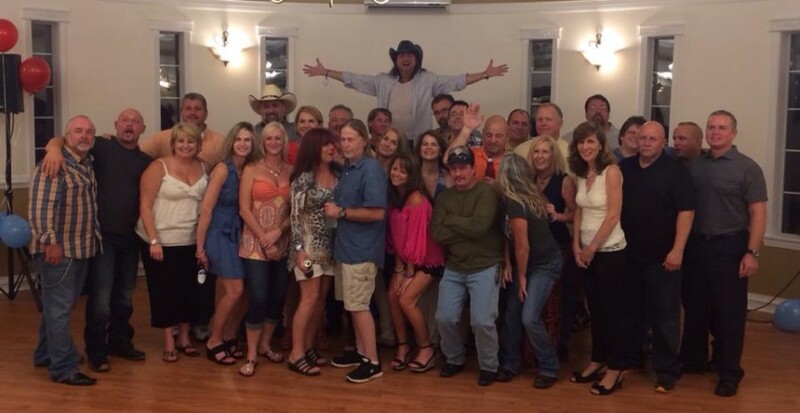 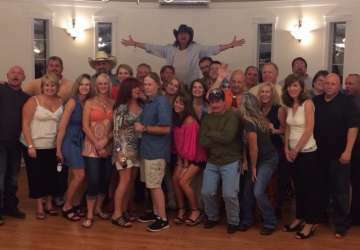 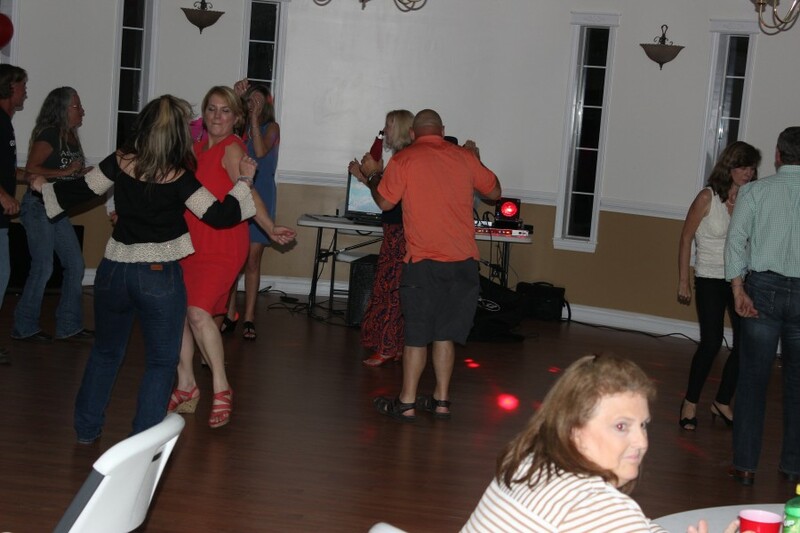 We will make the entire Main Floor or event room available to you for your cocktail party, birthday party, Baby Shower, Halloween bash, Christmas Party, Vow Renewal, Retirement Party or whatever type of celebration you desire. 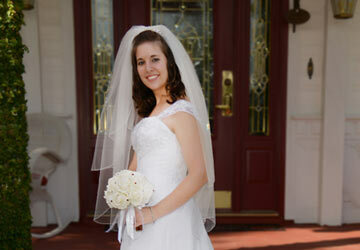 Prices depend totally on what services and facilities you require. 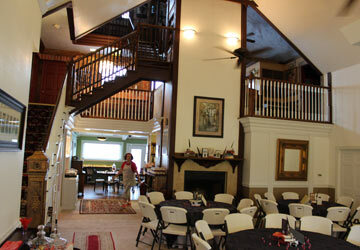 Banquet tables, chairs, table clothes, dishes, sound system, projectors and more are available for rental at the Inn. 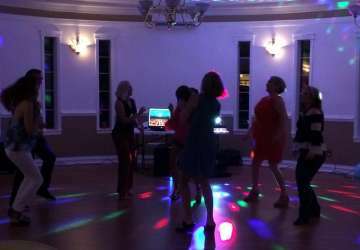 For large parties, We prefer that you contract your own catering service for food, however for small affairs of 14 or less we do offer our own catering services. 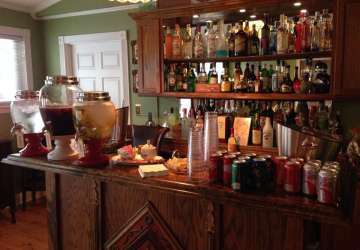 If only sandwiches and hors d'oeuvres are required, we can often accommodate those needs. 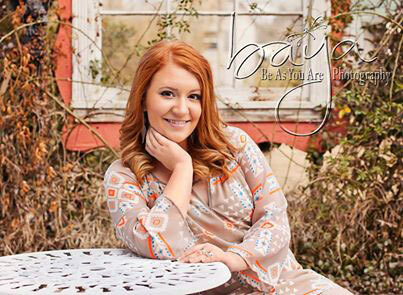 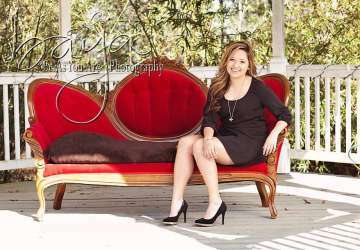 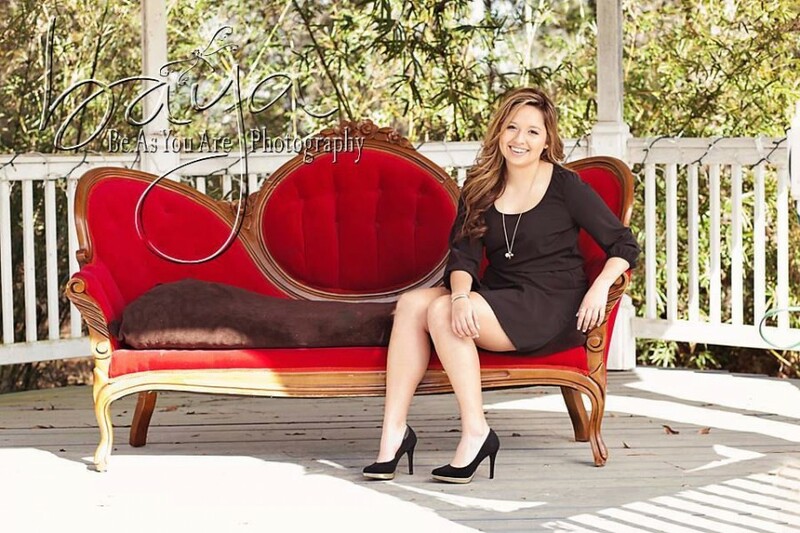 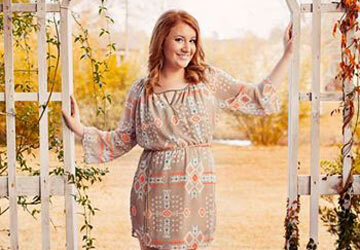 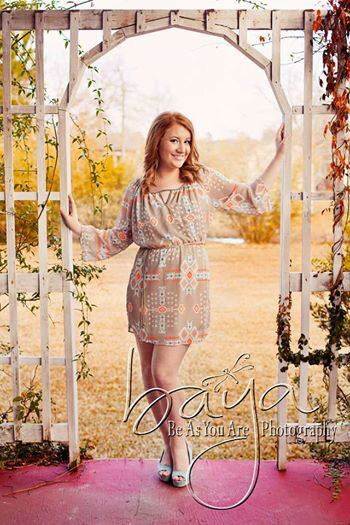 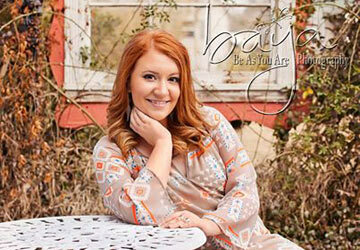 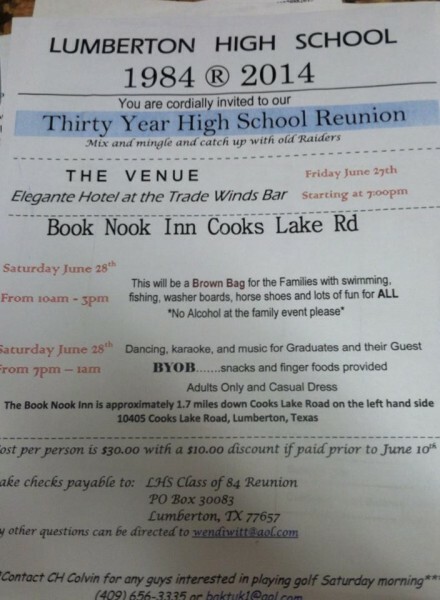 Please contact the Book Nook Inn at 409-225-9106 or 409-617-4854 to discuss with Stacie pricing of our event/party venue. 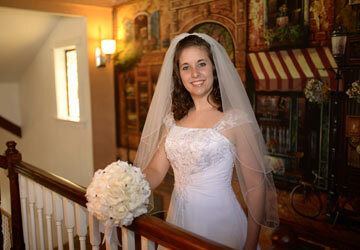 Celebrate an important anniversary, a milestone birthday, or any other big day at Book Nook Inn. 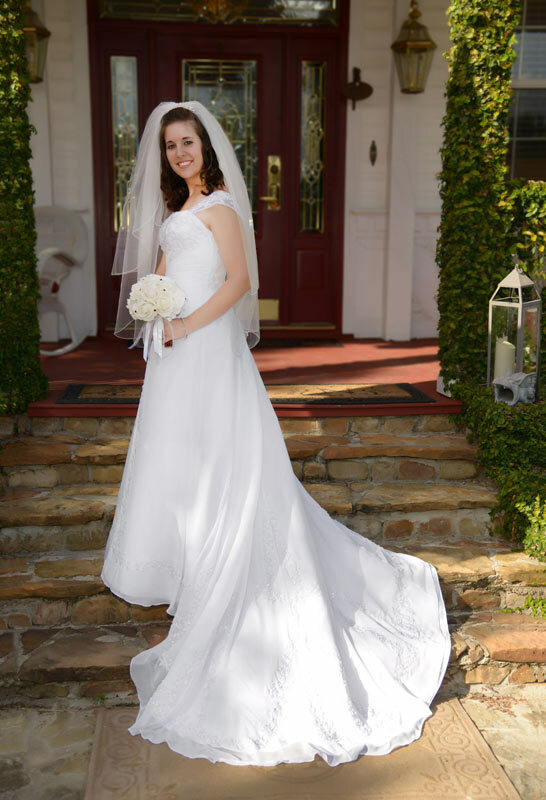 We will help make it all happen. 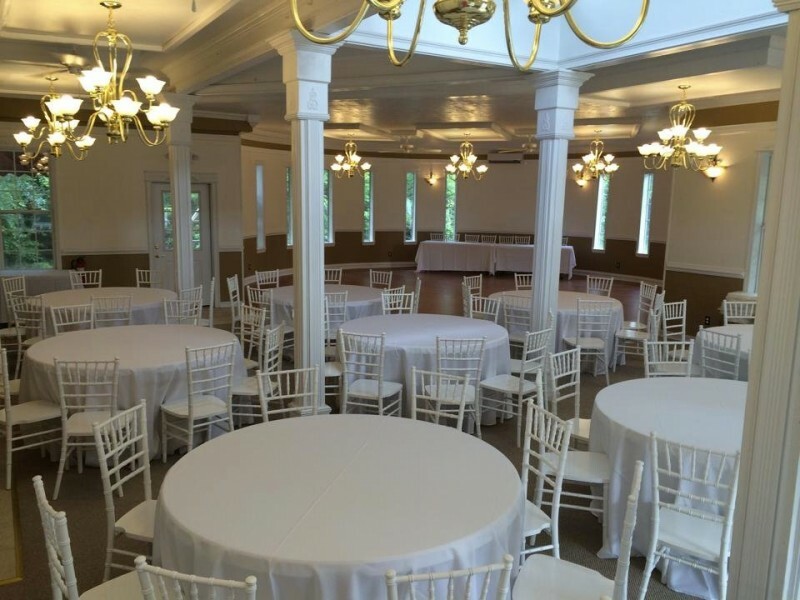 Celebrate your wedding, in our elegant event room, or outside. 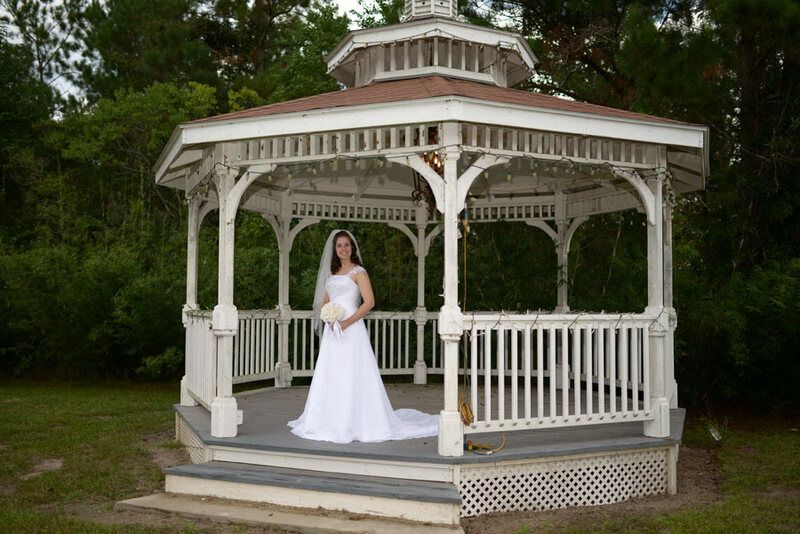 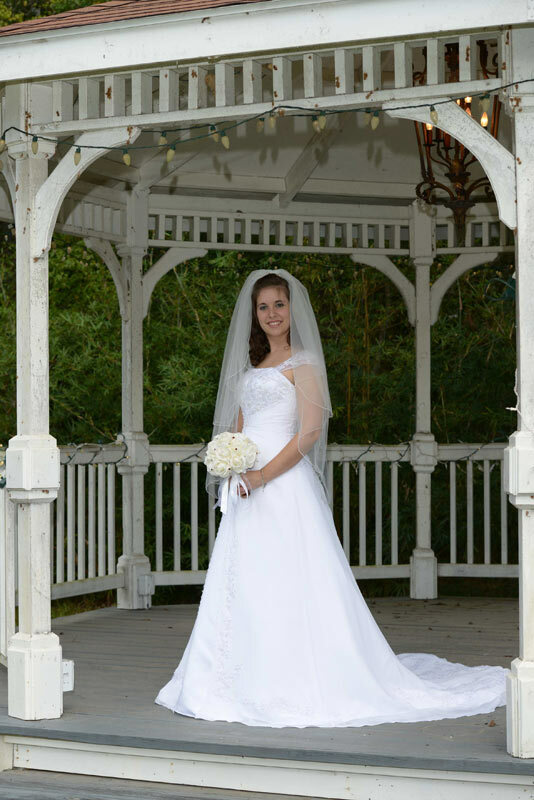 Use our gazebo or pond to help you create the perfect wedding. We prefer wedding events of 120 people or less. 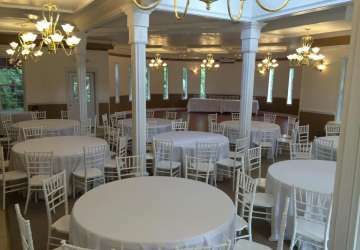 We provide tables, chairs, tablecloths and much more. 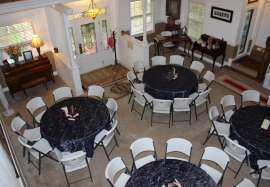 Our staff will set up the tables and chairs and take them down after the event. 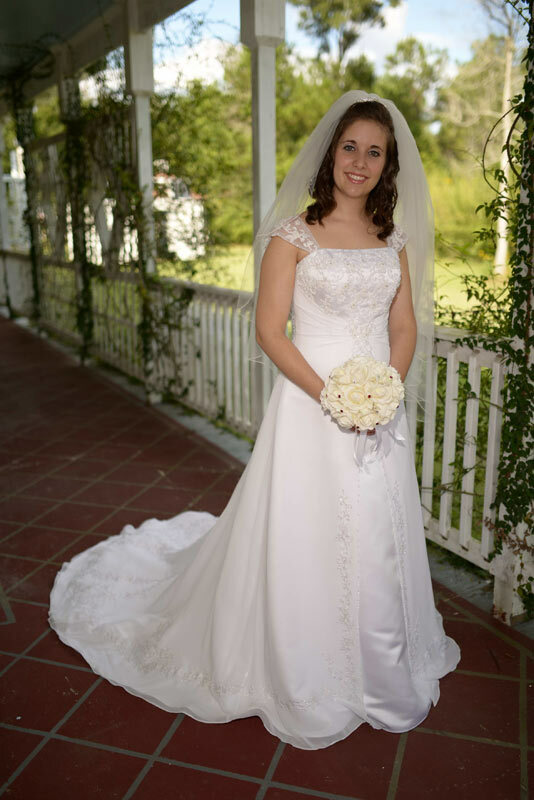 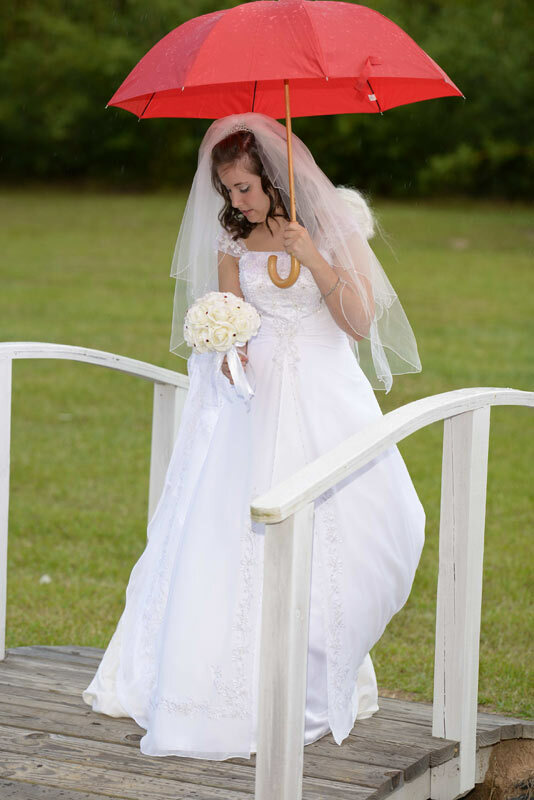 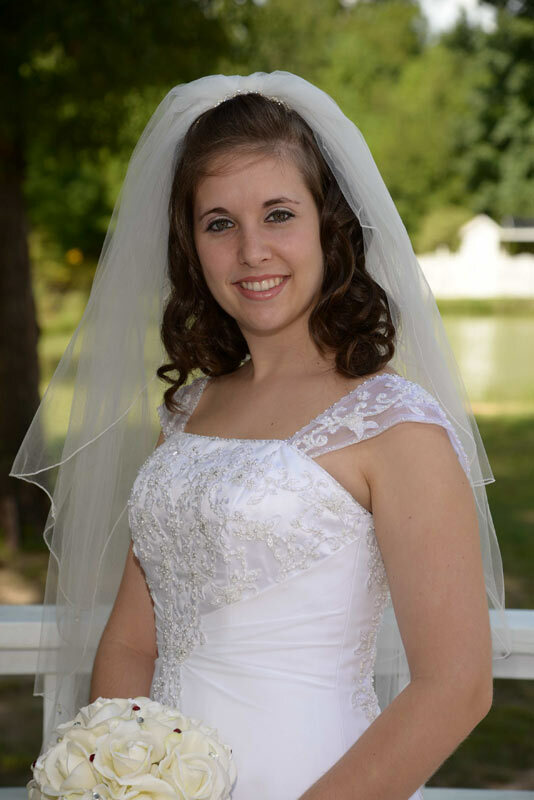 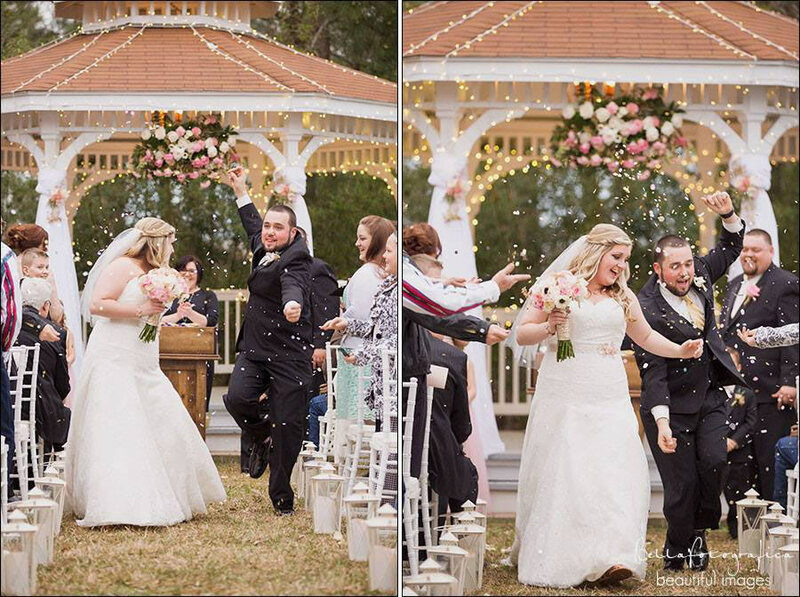 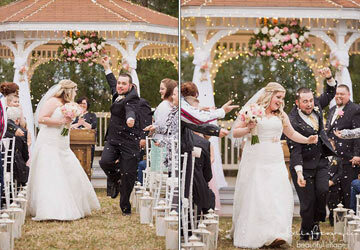 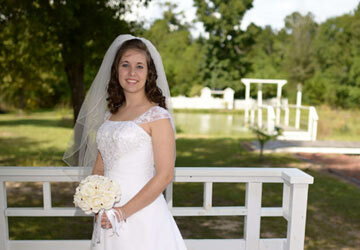 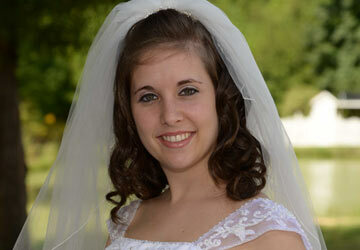 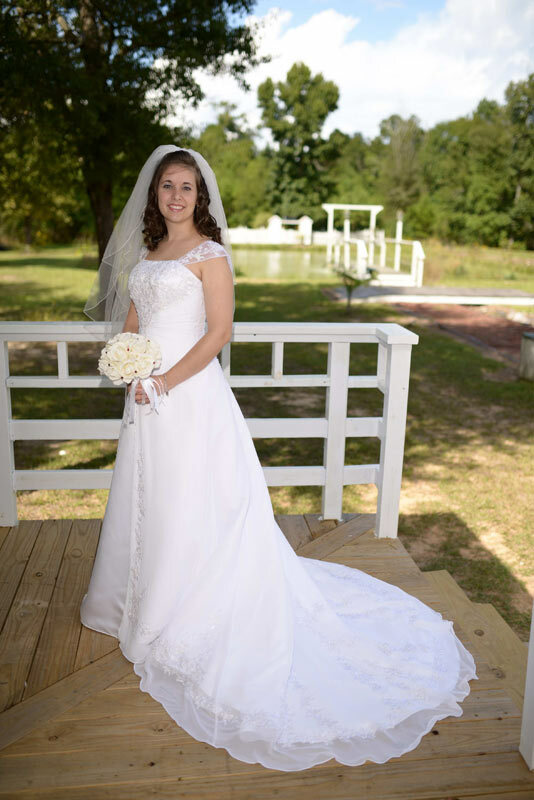 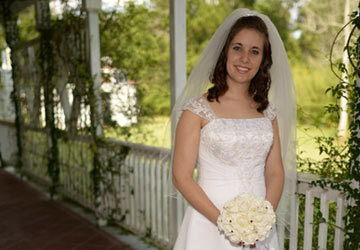 Please contact the Book Nook Inn 409-225-9106 or 409-617-4854 to discuss pricing for rental of our wedding venue. 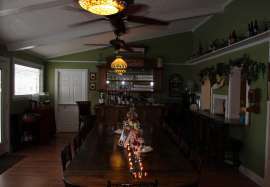 Cost depends on size of group and other needs. 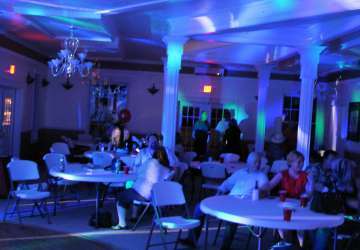 Catering and entertainment are also additional, subject to contract terms. 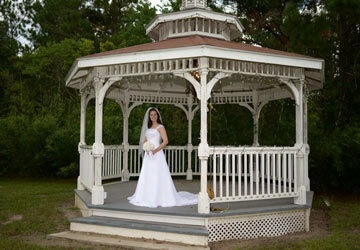 Please contact the innkeepers for more information.